It’s that time of year y’all!… ¡FIESTA! As a born and raised San Antonian, I’ve been living the Fiesta dream since I was a wee babe. 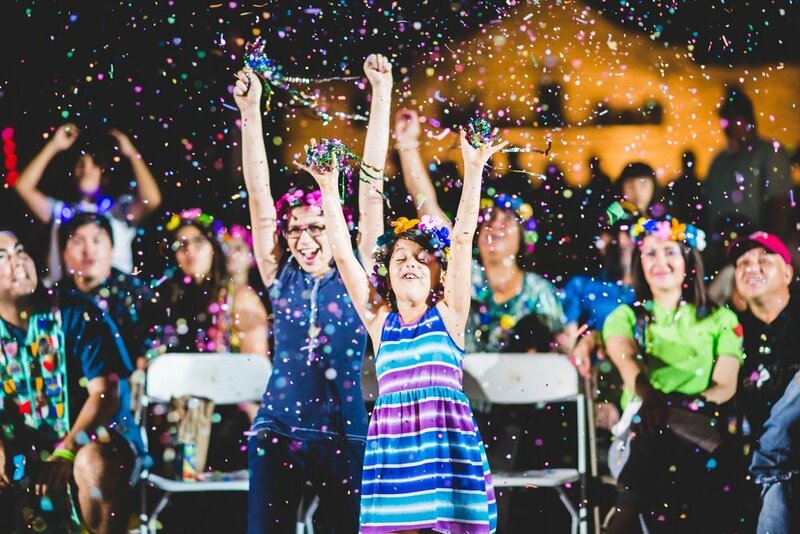 From the bike parades, to the face paint and being covered in head to toe fiesta colors, Fiesta is part of life for everyone in San Antonio. This year, while I may be halfway across the country, I’m still going to celebrate. I mean any excuse to make and wear paper flowers and drink vast amounts of margaritas is a good thing in my book, don’t you agree? Since I’m celebrating, I thought I’d share a little post about all my favorite things Fiesta! 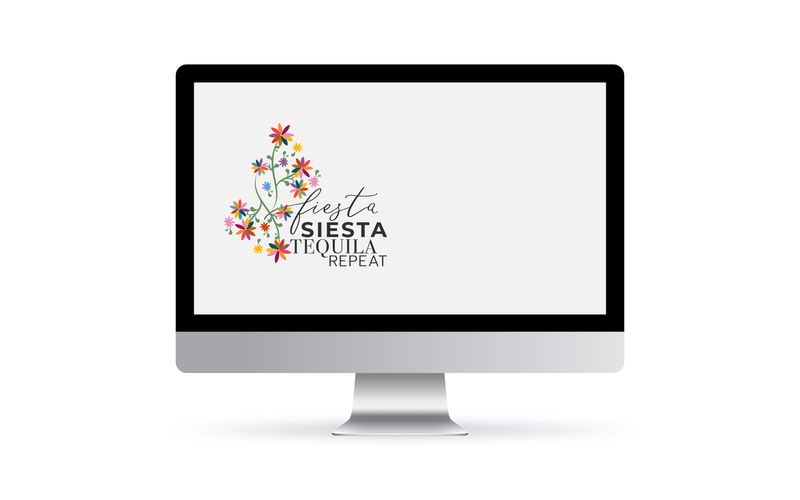 So, put on every brightly colored item of clothing in your closet, shine up the biggest, sparkliest earrings you own, dust off the ol' flower crown, and break out your maracas, IT'S TIME TO FIESTA! 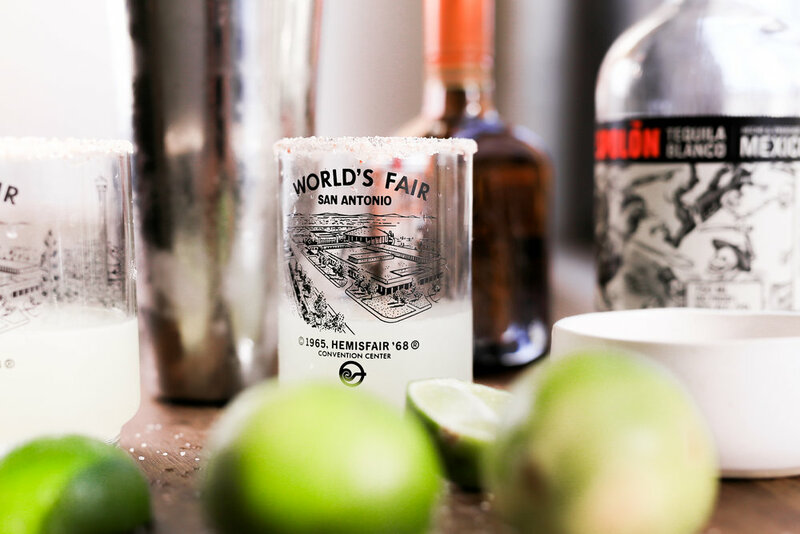 A tradition with over 120 years of history, Fiesta is a 10 day celebration uniquely exclusive to San Antonio, Texas. Every April, people come from all over to a city with a long history, great food, and wonderful people to celebrate and quite literally FIESTA! It’s a verb, it’s a noun, it’s all things to all people in San Antonio. Created as a time of celebration to honor those that died at the Battle of the Alamo and San Jacinto, Fiesta has become so much more. The city virtually shuts down to come together and celebrate at 100s of events all over the city, parade after parade, event after event, it’s unlike anything you’ve ever experienced. If you’ve never been — plan a trip. It’s worth it! Why love Fiesta so much? I don’t know why do people from San Antonio love Selena? It’s just part of our DNA. If I had to break it down for you… here’s a few of the reasons. Everyone Fiestas. There’s something so special about the whole city coming together to celebrate and enjoy each other. It doesn’t matter who you are, where you’re from, or what you’re doing. Everyone gets to celebrate. Does anyone really need a reason to drink more margs and eat all the chips and quac? The answer to that question is “No!”… however, this is a pretty darn good one. It’s always been the “Hello Spring!” moment in my life. April in San Antonio can be one of the prettiest months of the year. The flowers are blooming, the air isn’t quite so-hot-you-feel-like-dying, and theres just something fresh about it all. It’s like the city knows that it’s time to put on it’s freshest diggs and show up to party. Cascarones. Even as an adult, the idea of smashing a confetti egg on top of someone’s head is just so appealing. Everything is on parade. The outfits, the music, the actual parades. I don’t care who you are, you can’t help but smile with all those bright colors, confetti, face-paint, lively music, and flowers everywhere. Have you ever fiesta-ed? What’s your favorite thing about this time of year? Since I love fiesta so much, I thought I'd throw together a Fiesta starter kit for you! 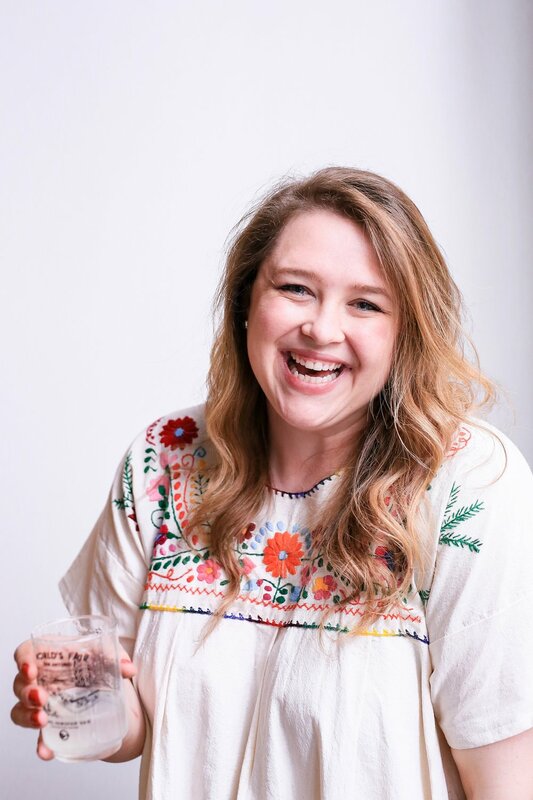 Below you’ll find some of my favorite things that help me get in the Fiesta mood even when I’m 100s or 1000s, of miles away. I’m challenging you to be an honorary San Antonian and try one or all of these things at some point during the Fiesta season. If you do, send me a pic of your outfit details, party screens, cocktails, or tacos. You can send me a snap, message me on insta or facebook, tweet it at me, or leave a comment below! I’d love to see how you’re celebrating! 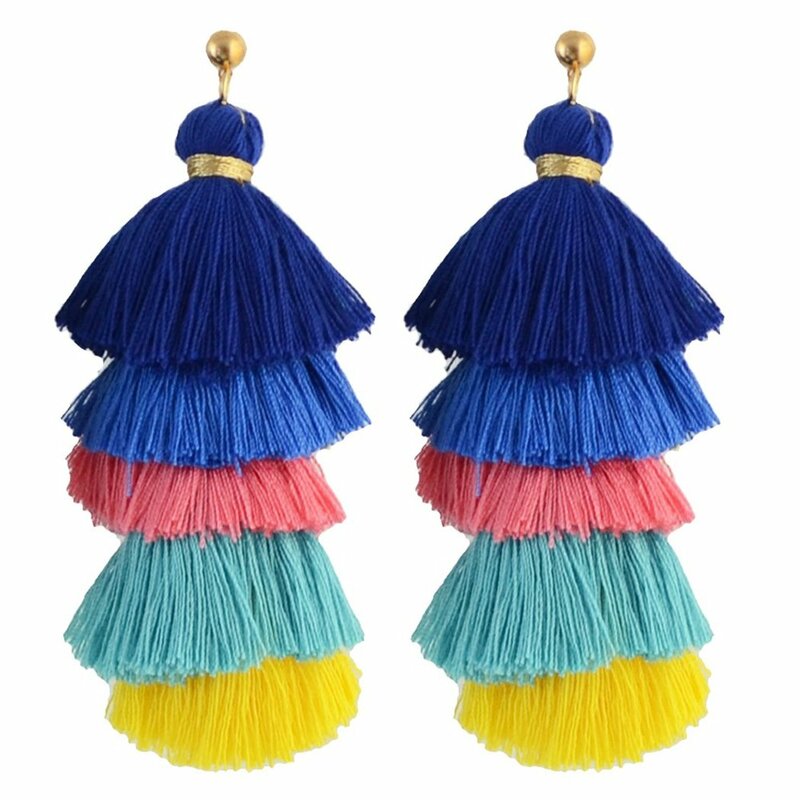 Fiesta is about all things, all colors, all the embroidery you could ask for, and everything tasseled and/or pom-pom(ed). 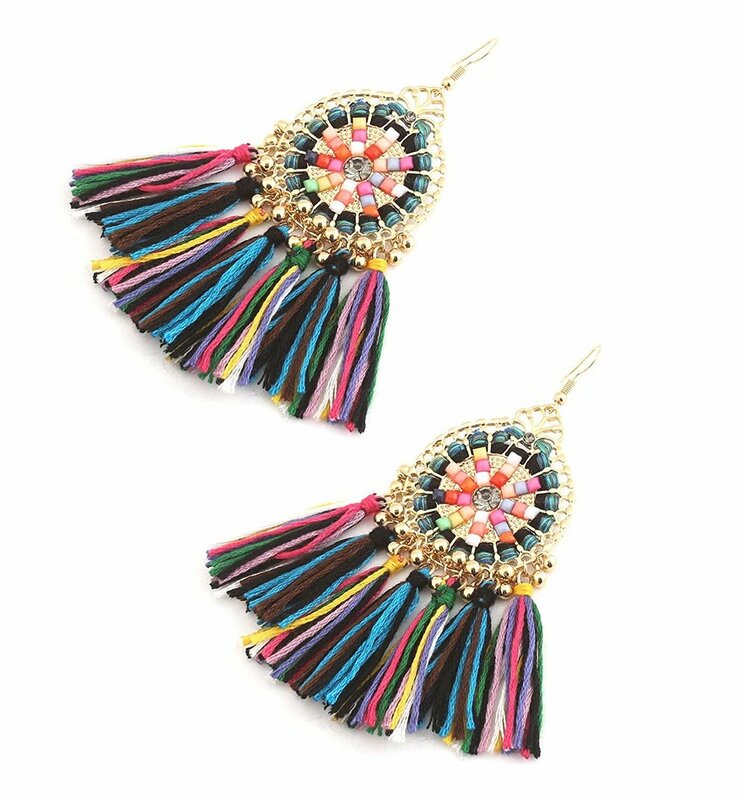 If you know me, you know I love a good pair of tassel earrings and all things embroidered… so I basically live the fiesta spirit 365 days a week. 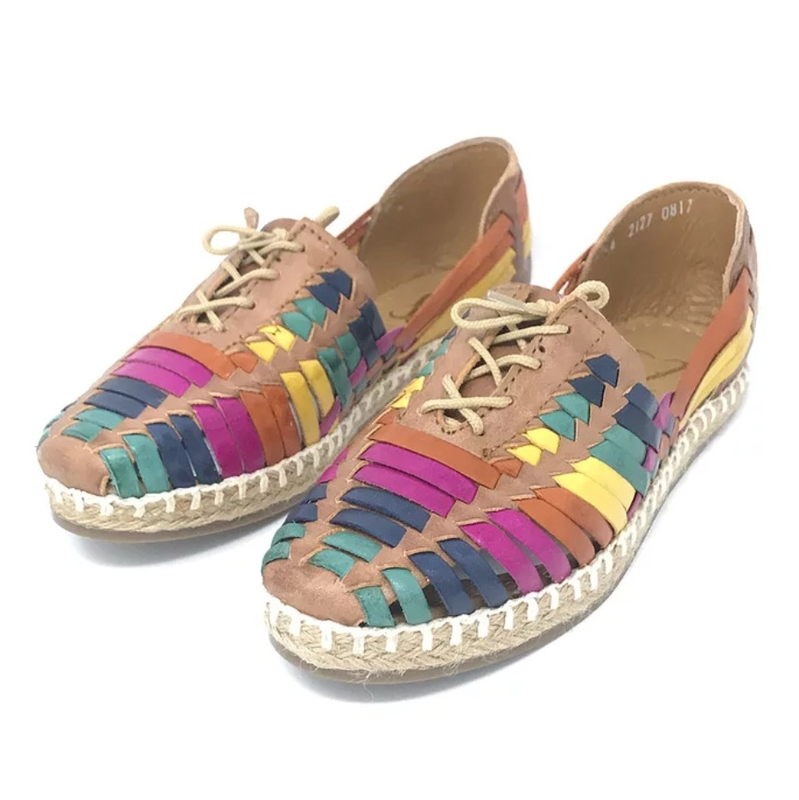 However, if you’re looking for outfit inspiration, look no further than Opening Statement’s recent collaboration with Primavera Collection and Fiesta Feet. The looks they pulled together are absolutely PRECIOUS. I just ordered 2 pairs of Fiesta Feet shoes myself and I’m OBSESSED. 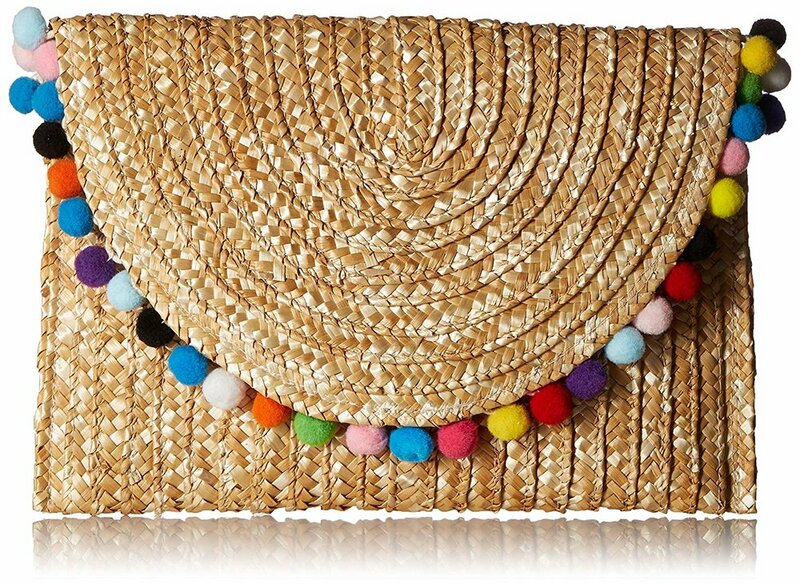 Are you ready to throw some Fiesta spirit in to your wardrobe? The decoration needs to go beyond just your outfits. Even your screens need to show they’re ready to celebrate. Think of these like a flower crown for your screens, necessary and obligatory for the next 18 or so days, if not all summer. 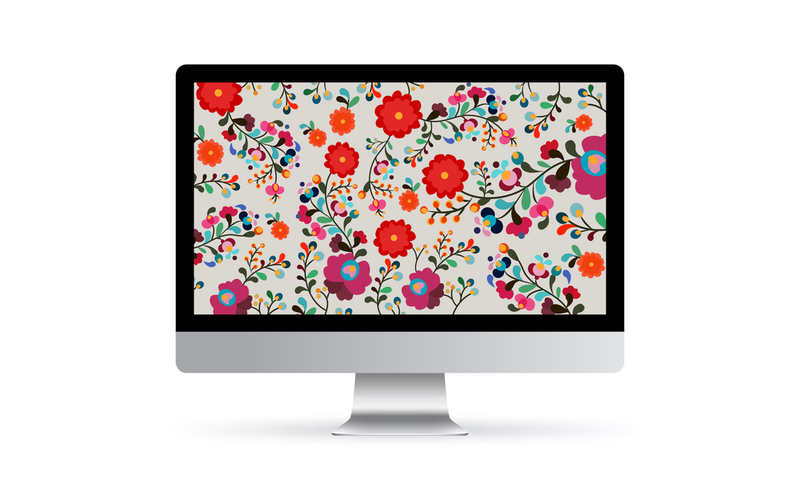 To download the desktop version, click the image below for the design you like. If you’re interested in downloading these for your cell/ipad, head on over to @capitalconfessions on instagram and download via my story highlights. MARGARITAS. Need I say more? Here’s my favorite, go-to margarita recipe. It’s so easy you’ll die. Add all the ingredients (ratios and ingredients below) to a shaker with one large ice cube, and one cube broken into pieces. This tip is from How to Drink. Watch his videos. 1 oz fresh lime juice. 1 oz cointreau. 2 oz tequila. 👈🏼You’re an adult. Buy the good stuff. Shake and serve in a glass with a salted rim. If you use sugar we’re done. Friendship over. Double this recipe for double the fun. TACO. TACO. TACO. What’s a good taco without a homemade tortilla? A while back I shared my homemade corn tortilla recipe. These are a staple in my kitchen. Tyler loves when he sees that tortilla press come out. Check out the recipe here.